Many families aspire to be a little more organized. After all, you’re juggling dinner, soccer practice, home repairs, laundry, and countless other family responsibilities. Even if you don’t intend to go full “Marie Kondo,” small efforts can make a big difference. That’s where technology comes in. Rather than adding on new digital infrastructure to improve organization, a smart solution is to look for better ways to use the technology you already have. Intelligent home phones such as Ooma Telo provide all the advantages of a home phone while also offering the increased connectivity and flexibility that’s possible with today’s latest technology. Learn the seven key ways Ooma Telo can help your family become more organized. For decades, the home phone has been the central command post for household communications. Even in today’s cell phone culture, a home phone is still a centralized portal, keeping family members in the loop about appointments, household needs, and more. For example, a parent may want to leave a voicemail asking whoever gets home first to defrost tonight’s dinner. A neighbor may want to reach the household about a package he or she signed for. Your service vendors such as plumbers or landscapers may have a message. Rather than the fragmented communication of cell phones, a home phone line can keep your family functioning as a unit. Using a Voice over Internet Protocol (VoIP) phone service can feel like switching from a Flintstones phone to a Jetsons phone. Typically, VoIP phones give users access to a more robust set of advanced features at a lower price than what’s offered through traditional phone companies. 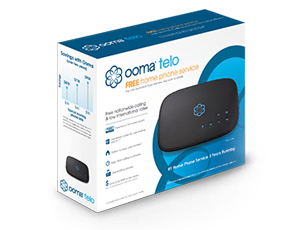 Ooma Telo users have the option to further expand their available features by subscribing to Ooma Premier Home Phone, which provides a comprehensive set of call blocking tools. Included are five customizable call-blocking options so you can optimize your phone service and fight back against robocalls. With customizable call blocking, your family dinner is less likely to be interrupted by a phone call from a Nigerian prince who’s giving away free gold. By cutting the auditory clutter of unnecessary phone calls, your family can stay focused on the things that matter. Access to your home phone doesn’t need to be limited to when you’re at home. Because Ooma is a VoIP service that transmits calls over the internet, all users can install the Ooma free calling app on their mobile phones to access their home phone service from anywhere. Use the app to keep tabs on household communications and expand your availability. Your telephone hardware itself can improve your family’s communications. Devices such as the Ooma HD3 handset provide intercom functionality, allowing you to talk between two handsets on the same Ooma Telo home phone system. The HD3 phone can even be used as a baby monitor! For business-minded users, the Ooma DP1-T is a desk phone that gives you powerful communications tools such as 32 programmable speed dials and many other features for home offices. Additionally, the integrated intercom makes it easy for family members to communicate, especially about important household events such as when a fresh pot of coffee is ready. Do you want to use voice commands to make phone calls? Ooma Telo is compatible with both Amazon Alexa and Google Assistant, making it easy to place calls when your hands are full. To make a call, simply say, “Hey Google,” or “Alexa,” followed by your voice command. On both platforms, users have the option to dial by name or by contact number. Ooma voice commands can be used via a smart speaker such as the Google Home or Amazon Echo. Most Echo users add on the Echo Connect to their system to streamline device interaction, but it’s also possible have similar functionality using the Ooma skill for Alexa. You can also use Ooma voice commands via assistant apps on your mobile device such as the Amazon Alexa app, Google Home app, or Google Assistant app. Along with the Ooma Telo telephone service, your Telo device can become a hub of networked home security sensors. With Ooma Smart Security service, you can customize your system with door/window sensors, motion sensors, the Ooma Smart Cam, a garage door sensor, water sensors, a siren, and the Nest Protect line of smoke and carbon monoxide alarms. Not only does this help secure your family from potential threats, it can also let you know when family members arrive home. As in the case of a family using the Ooma Smart Cam, you can get instant notification and video of your kids getting home from school. Improving organization also means addressing essential safety concerns. It’s easy to take 911 access for granted, and Ooma’s recent report on 911 access found that the majority of people are unaware that calling 911 from a cell phone can be problematic. When making 911 calls from cell phones, geolocation failure can be significant, with estimates as high as 90 percent in Washington D.C. and 66 percent in Texas. 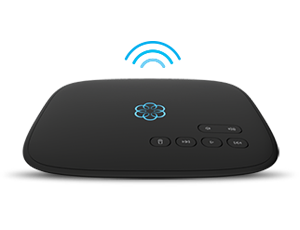 Ooma Telo takes emergency communications seriously with advanced 911 access. Making a 911 call from your Telo-connected phone will automatically transmit your home address, and your call will be automatically routed to your local 911 dispatcher rather than to a national call center. This gives your household intelligent emergency access. Plus, a 911 call placed from any of Ooma’s apps will be connected to your home’s local dispatcher. Therefore, even if you’re at the office, you’ll be able to quickly attend to family emergencies, home threats, fire alarms, and even package thieves. Learn more about how Ooma Telo can help your family stay organized and connected.